Newly renovated home in one of New Orleans’ oldest neighborhoods. 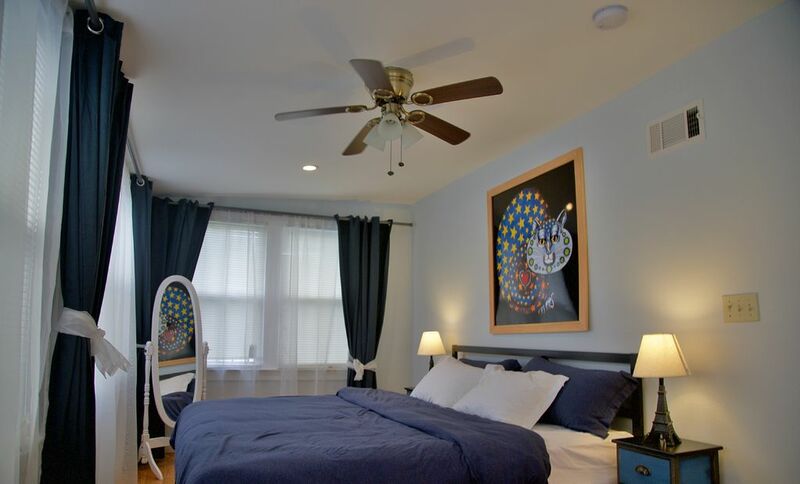 Conveniently located: 10 minute walk to Jazz Fest Fair Grounds, 5 minute taxi or Uber ride to famous music clubs on Frenchman Street, the French Quarter and the spectacular City Park. Our spacious 4-room home offers a comfortable living room, two bedrooms with king size beds, a day bed which converts into two twins, a sleeper queen size sofa, fully equipped kitchen, dining room and two full bathrooms. Wireless internet and television with Netflix is also provided. We are married couple loving life, music, traveling, sports, good food and most of all each other. I'm a manager of one of the oldest Jazz Clubs on Bourbon street, Mike is an established Jazz Trumpeter and long distance running enthusiast. We love meeting people from all over the world and we look forward to connecting with you as a host and we'll do our best to make your stay comfortable as possible. First bathroom with bath and toilet. Second bathroom with shower and toilet. Street parking always available in front of the house monitored by security cameras. Parking behind gate also available if necessary. We always have some snacks available for you to munch on. Porch with swing for your morning coffee, not for parties. Excellent property. Comfortable, clean, well maintained. Kate was so helpful, easy to work with, and quick with responses. Would definitely recommend and plan on staying here on any future trip to Nola. We enjoyed our stay in this beautiful home for Mardi Gras weekend. Great layout, ideal location. Despite it being party season, the neighborhood was nice and quiet. Owners are very easy to communicate with, and they left a nice personal touch to welcome us! Nice amenities in the home as well. We will be back for our next NOLA weekend! A gorgeous property! The house was heaven with beautiful decor, two very comfortable bedrooms, private baths and a cozy kitchen. Easy street parking in a quiet neighborhood. Kate and Mike are THE MOST accommodating hosts in all my VRBO experiences. We thoroughly enjoyed our stay and HIGHLY recommend this property. We will definitely book again for our next NOLA stay! !